Charles McVicker is an award winning artist. His work has appeared in many Juried exhibits, including those of the American Watercolor Society, and the National Society of Painters in Acrylic and Casein. He is a Past-president of the Society of Illustrators, and his work has appeared in many of the Society's annual shows. He has also been President of the Garden State Watercolor Society, and is founder of the Princeton Artists Alliance. 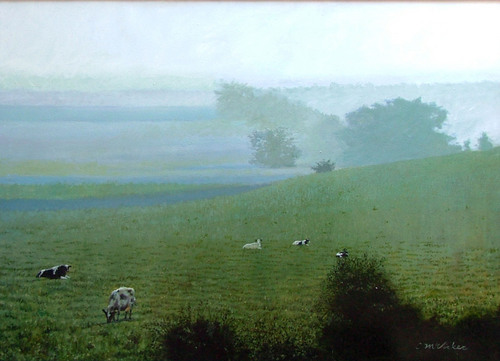 His work was included in the Best of Watercolor article in the Sept. 2003 issue of The Artist's Magazine. Mr. McVicker is listed in "Who's Who in America", and "Who's Who in American Art."